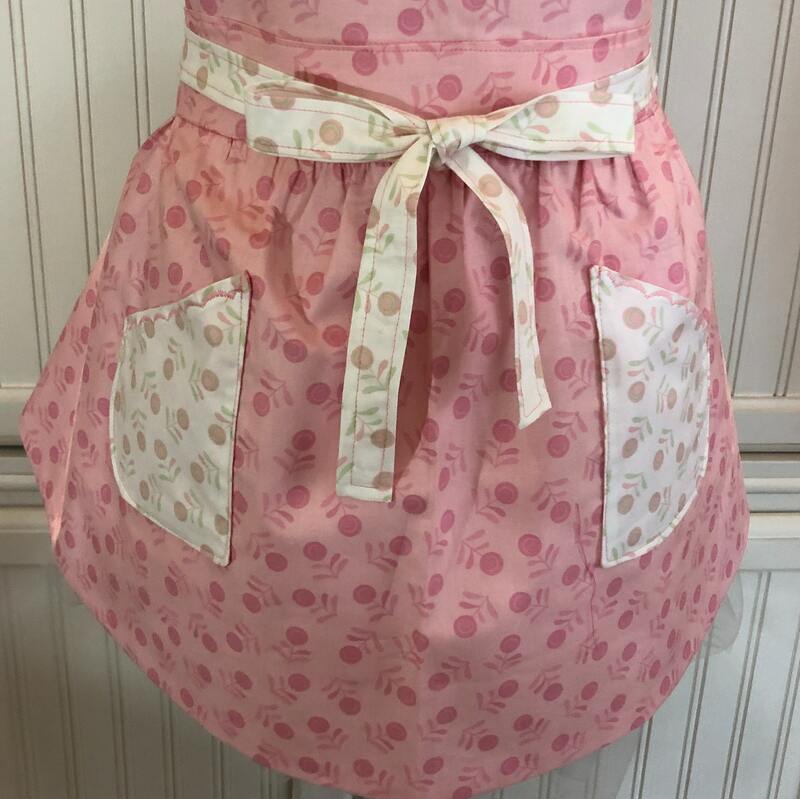 This beautiful Womens full apron is made from quilt quality cotton. 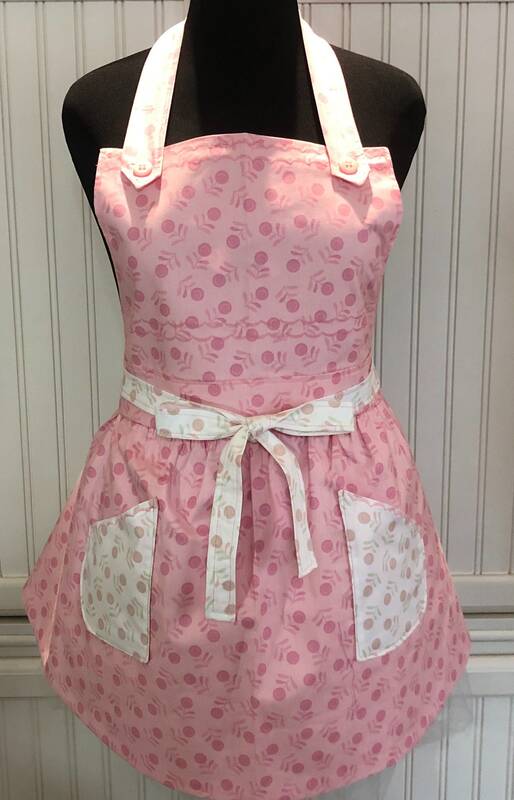 It is fully reversible with pink on pink cherries on one side and white with pink cherries on the other side. 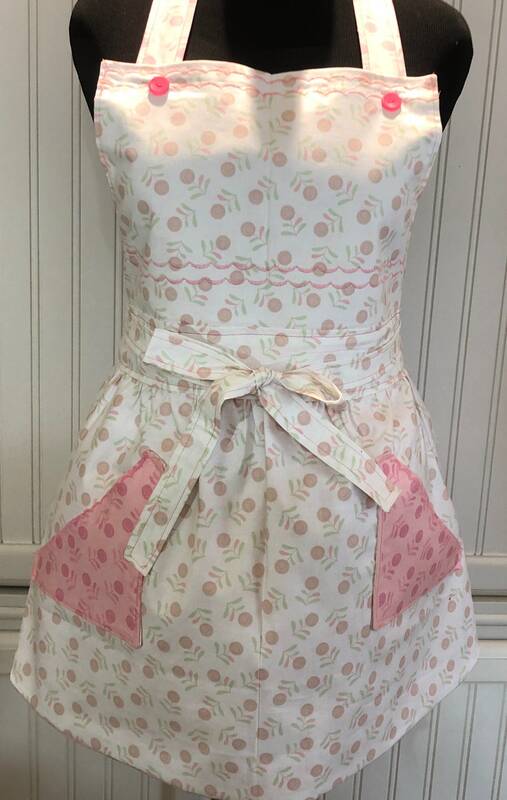 The bodice is square and the neck ties have button accents. 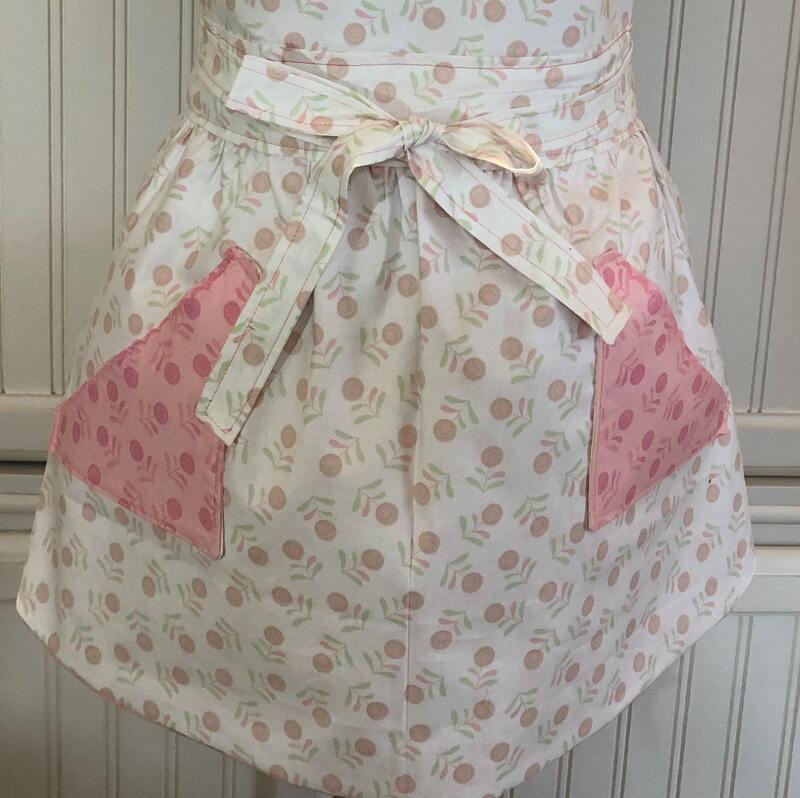 The waist ties are extra long and can be tied in back or front as pictured. 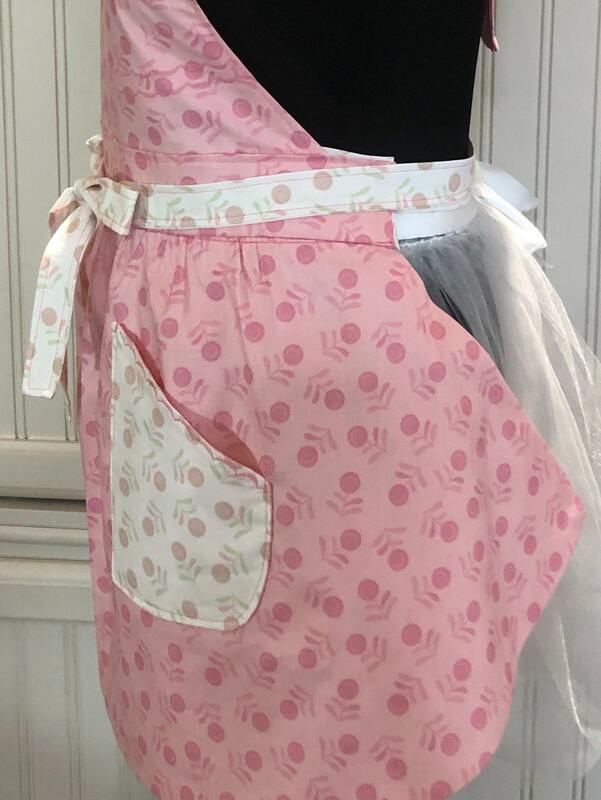 The skirt is a modified half circle and with the reversible side it brings a flirty twirl to the apron. 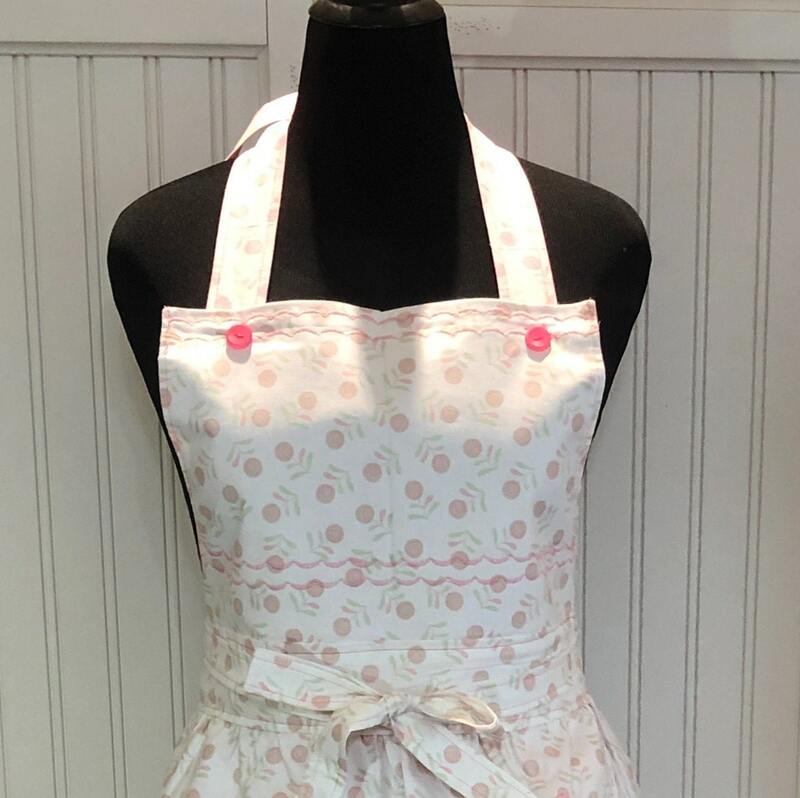 Life will be just a bowl of cherries when you wear this cheery cherry apron in your kitchen. 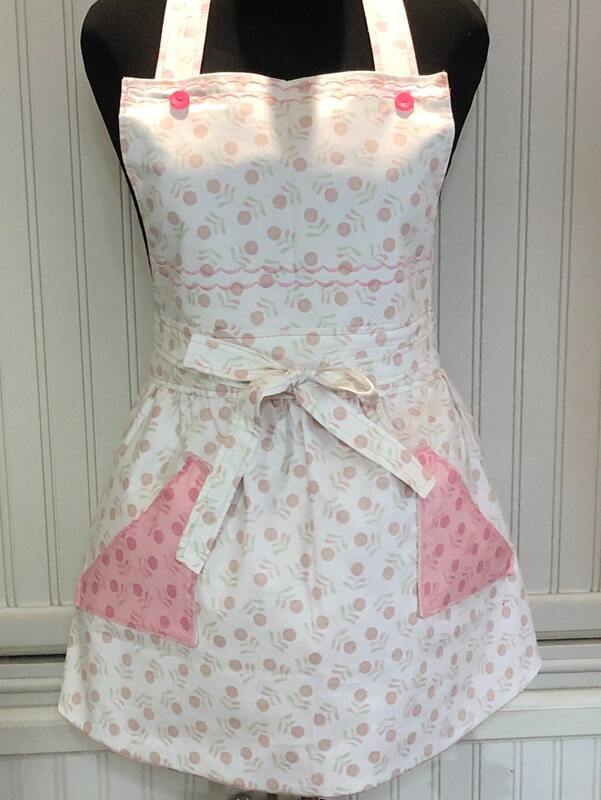 The bodice is accented with multiple rows of pink half moon stitching to add a bit of sassy class. 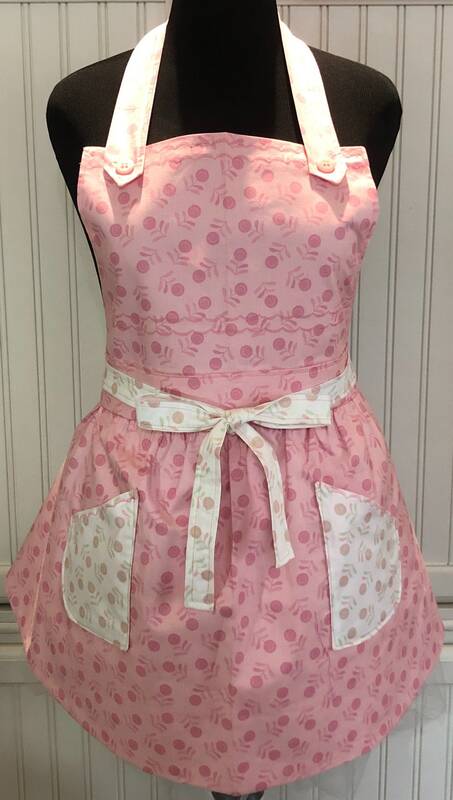 The neck ties are trimmed in front with tabs accented with pink vintage buttons. 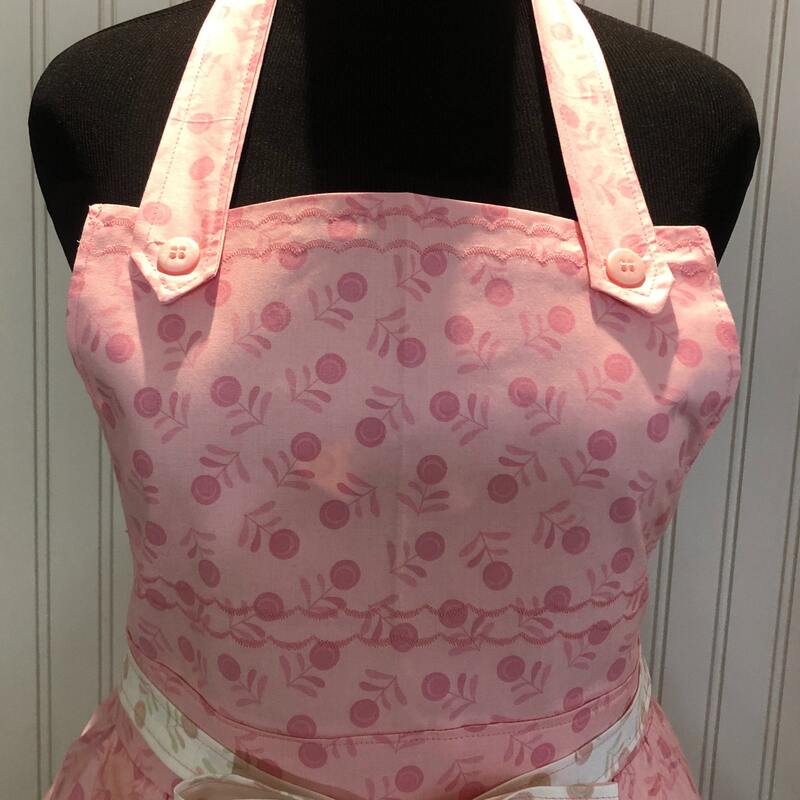 Handy square pockets on each side ensure you can keep your recipe close while you cook. 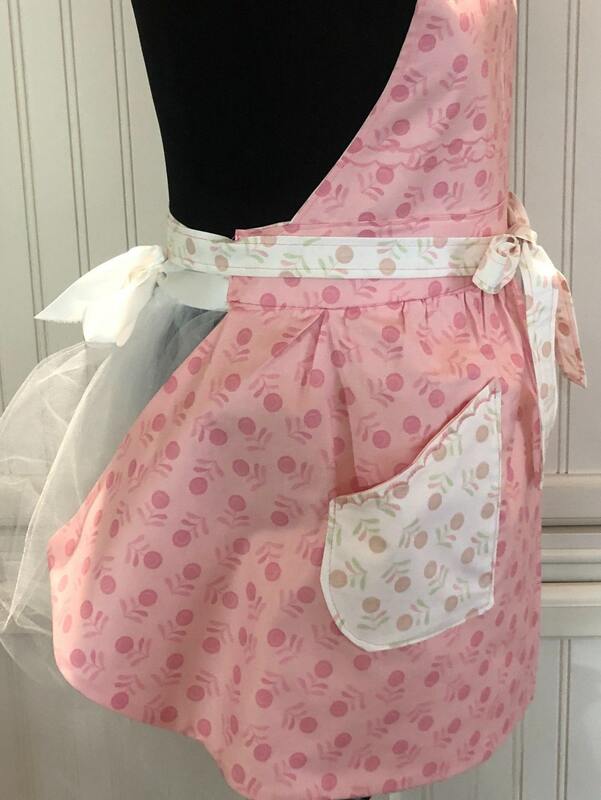 Whether you wear the pink side or white side out, you will always be cheerfully in cherries with this apron in your kitchen!